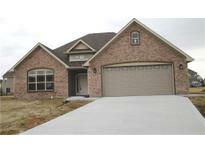 Below you can view all the homes for sale in the Forest Creek subdivision located in Plainfield Indiana. Listings in Forest Creek are updated daily from data we receive from the Indianapolis multiple listing service. To learn more about any of these homes or to receive custom notifications when a new property is listed for sale in Forest Creek, give us a call at 480-577-2304. Beautiful full fenced in yard with Trex-deck off main level. MLS#21623113. RE/MAX Centerstone. Featuring Quality inside and out with a welcoming entry, a great room with raised ceiling, super kitchen breakfast bar and pantry, separate dining area, master suite with big walk-in closet and beautiful shower, separate laundry room, private covered patio area, Pella windows, nice finished garage, full brick wrap, all this and more! MLS#21615227. RE/MAX Centerstone. Sound system throughout. Freshly painted throughout. Gas fireplace. MLS#21599012. Keller Williams Indy Metro NE.